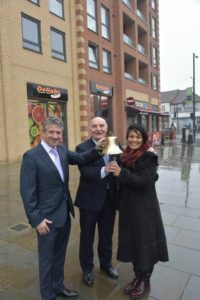 Ealing MP Launches Greenford Broadway Regeneration Scheme. 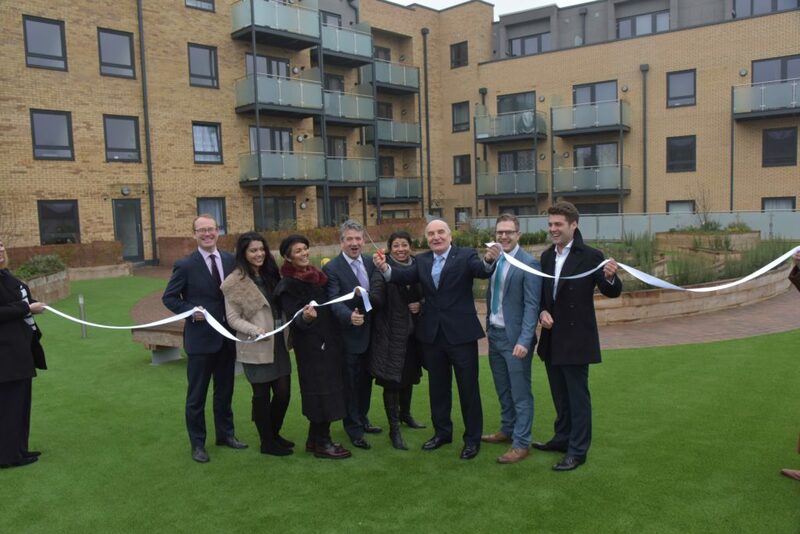 At the weekend warmth was brought, on a freezing cold Friday morning, to Greenford Broadway as Stephen Pound, MP for Ealing North cut the ribbon at the launch of the Red Lion Court regeneration scheme. This flagship development created by Clearview Homes provides 44 flats (including 8 Affordable Homes) and 10,000 square feet of prime retail space, all to the benefit of the local community. On a tour of the development Stephen Pound expressed delight at the attention to detail and the high standard of finish, particularly to the residential element. He said that the scheme set a fine pattern, and acted as a great catalyst for the much needed regeneration of the vicinity. This development is another example of Clearview Homes’ use of engineered cellular block Thin Mortar Technology, a system that can speed up delivery of developments by cutting down superstructure construction times by up to 50%. 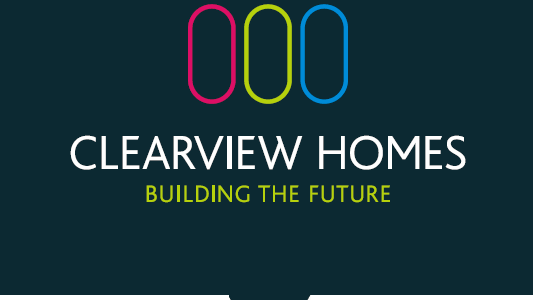 “We are delighted that we are considered to be one of the UK’s leading exponents of this system,” commented Tony Laws on behalf of Clearview Homes. ” Not only is it more rapid than totally traditional construction, it also has many “green” advantages.” he continued. “It also indicates that the solution to more rapid delivery is not just the much proclaimed ‘Off Site Construction,’” he concluded.